Joining the IGPR Scheme - what are the different pathways? The NHS is one of the largest employers in the world. Over the last 70 years, the NHS has transformed the health and well-being of the UK’s population and become one of the most valuable institutions in the country. Healthcare is free of charge at the point of delivery, funded through general taxation. Provision of healthcare takes place in two main ways: primary and secondary care. If you decide to join the IGPR Scheme you will be a GP delivering care to the community. For any doctors that have not worked in general practice in England before. For UK or European Economic Area qualified GPs that have been out of NHS practice for over two years. For GPs that are UK or EEA qualified but have been practising abroad for less than 10 years. The I&R Scheme provides a safe and supported route for GPs from a variety of backgrounds to return to / undertake general practice with the NHS in England. How do I find out more / apply? 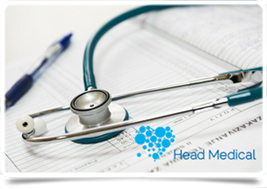 Contact Head Medical on +44 (0)131 240 5268 or email UK@headmedical.com and our team will be able to advise you on the next steps.